Sage 100 Resellers are Sage channel partners dedicated to the sale and support of ERP suite Sage 100. These value-added resellers often add additional services or features to the platform based on the client’s needs. A Sage CRM reseller aims to save buyers money and increase their productivity. This platform can connect companies to the cloud, giving businesses access to web and mobile capabilities and allowing them to confidently run their operations. Sage 100 is optimized specifically for small and medium-sized businesses to automate processes, connect employees, and gain business insight. Customers can turn to CRM or accounting and finance software for additional support in improving the efficiency of business processes. Sage 100 Resellers reviews by real, verified users. Find unbiased ratings on user satisfaction, features, and price based on the most reviews available anywhere. CompuData – Your Business Technology Partner CompuData (www.compudata.com) specializes in providing Enterprise Resource Planning (ERP), Managed IT Services and Cloud Hosting technologies. With more than 46 years of performance as a business technology innovator, CompuData offers a vast spectrum of IT solutions not limited to the areas of software selection, implementation, training and deployment for Financial services SaaS and subscription businesses professional services businesses Not for Profit Distributors MTO or ETO manufacturing industries CompuData leverages decades of ERP expertise to help its clients scale their businesses for growth by optimizing leading ERP solutions, including Sage, Intacct and Epicor. •	CompuData was recognized for the 14th year in a row by Bob Scott’s Insights Top 100 VARs 2017 ranking of the top 100 VARs across the United States. Additionally, CompuData has been named to the Top 100 VARs by Accounting Technology for the last 14 consecutive years. For more information, contact CompuData online at www.compudata.com/contact/ or call 800-223-3282 and follow CompuData on Twitter @CompuDataInc, Facebook and LinkedIn. With over four decades of Sage 100 sales and development experience, Faye Business Systems Group is also one of only a handful of SugarCRM “Elite” Partners among 650+ global partners. They are known for their breadth of SugarCRM Integration Add-On Products and custom software solutions as well as their strong technical know-how in successful CRM implementations. FayeBSG has built Sugar integrations with ERP software, credit card processing, project management, phone systems, and more. The FayeBSG team has over two decades of experience, specializing in extensive multi-layered CRM, ERP and marketing integrations. They concentrate on a wide array of high-value CRM, ERP, and marketing automation development and consulting services with services including project management, consulting, system builds, data migration, custom software development, training, and ongoing support. Our product expertise is in the following: SugarCRM, Sage 100, Act-On, QuickBase, QuickBooks, Netsuite, Intacct, Box, Dropbox, Constant Contact, Jira, Authorize.net, and more. 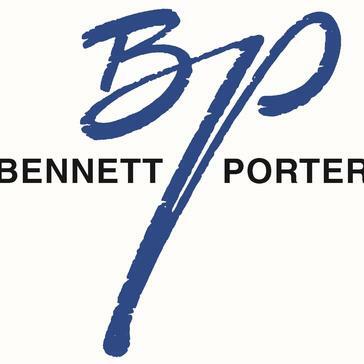 Bennett/Porter is a single-source provider of business software consulting and IT networking and cloud services. 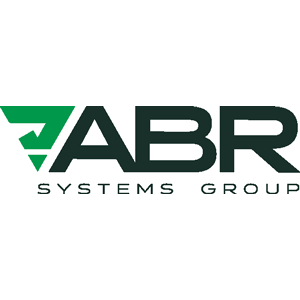 ABR Systems Group is a Bowling Green, KY-based company serving the Information Technology needs of small- and medium-sized businesses across Kentucky and Tennessee. 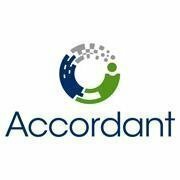 Accordant Company provides solutions to over 4,000 construction, service, development and real estate companies. Accounting Micro Systems helps supply chain organizations become more agile and responsive with supply chain management software built on SAP's cloud. ASI (located in South Carolina) specializes in ERP software, accounting software, and CRM software. AccuPointe is a technology consulting company specialized in PLEX Manufacturing Cloud ERP, Acumatica cloud ER and Sage products. ACS is committed to service and products available by SAGE and popular third party manufacturers. Acuity Solutions are a top 5 Global Sage Business Partner and one of Sage's Strategic Partners in the UK. ADSS Global ia successful in making information work in an efficient and profitable way for many companies and organizations. Information Technology Consultants For over 30 years, Aktion Associates has focused on providing software and IT infrastructure solutions to the Construction Industry. Aktion is recognized as one of the leading industry VARs in the U.S. We have a portfolio of over 30 different industry specific software solutions and can assist with any software application requirement in the construction industry space. If your business is focused on performing contract project work or service work order processing, we have multiple solutions available from a single source. Every solution we distribute is available to be fully deployed in the cloud to support the mobile needs of the Construction Industry. Alliance Solutions Group are technology consultants helping construction and real estate companies achieve next level performance. Aronson LLC provides a comprehensive platform of assurance, tax, and consulting solutions to today's most active industry sectors and successful individuals. Arxis Technology is a technology consulting firm specializing in the implementation and support of accounting and business management software. Asyma Solutions is focused on getting your business the software it needs for maximum growth and efficiency. Azamba's mission is to help organizations become more profitable through effective and efficient usage of Sage CRM. B2BGateway EDI is a cloud based EDI and automated supply chain solution that supports all US and International EDI Mapping formats including ANSI X-12, EDIFACT, Tradacom, Odette, XML, etc. as well as virtually all accepted EDI transport protocols including VAN, AS2, SMTP (E-mail), FTP, HTTP, Secure Socket, etc. BCS ProSoft helps small and mid-sized companies choose and implement the right accounting/ERP software solutions to support their growth requirements. Biz-Tech Services is a strategic software solution provider offering complete end-to-end accounting, distribution, manufacturing customer relationship management software applications. Blytheco is an established national, full-service business systems solutions provider. Business Computer Associates offer ERP solutions and managed IT services for south FL businesses. Business Software Solutions provides accounting software and business management software, and services for small to mid-sized businesses in Western & Central Oregon, Salem, Eugene, Springfield, Albany, Corvallis, Roseburg, Grants Pass, Medford, Ashland, Bend and Redmond. CertiPro Solutions (CPS) is a Sage authorized partner that provides ready-made and customized solutions, which help you take full advantage of your Enterprise Resource Planning (ERP) systems. Champ Systems specializes in Sage 100 ERP Business Management and Accounting Software. Computer Management Services specializes in consulting, training, sales and support for all aspects of your business software needs. St. Louis-based certified public accounting firm serving businesses, individuals, and non-profit organizations with accounting, tax, audit, and IT services. Convergence Technologies, ltd. is a provider of Sage 100 ERP software solutions and related services in Fort Wayne, IN. Successful UK Sage Business Partner, specialising in Business Management Software - Sage X3, Sage 200, Sage 1000, Sage 500 support, Sage CRM, Infor CRM, Qlik. Quality support for Sage MAS 90, Sage MAS 200, crystal reports, and network issues. DMC Software, an Xperience Group business, is a company that is experienced in providing Customer Relationship Management (CRM), accounts and integrated business solutions for businesses of all sizes - including Sage ACT!, Sage CRM, Sage SalesLogix CRM and Microsoft Dynamics CRM. A business management software solutions provider, specializing in accounting and ERP software. 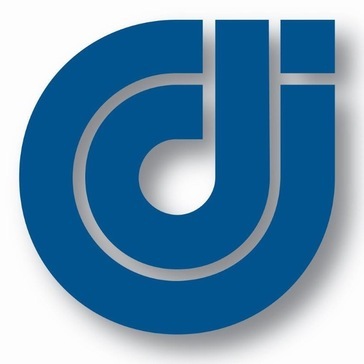 DWD Technology Group, with offices in Fort Wayne and Indianapolis, IN is a Microsoft Gold Certified Partner and Sage software authorized partner. e2b teknologies provides ERP, accounting applications, custom cloud-based software development services, AR collections management software, and calibration services through its three business units _‹_ e2b anytime apps, e2b enterprise, and e2b calibration. Eide Bailly provides 54,000 clients across the US with core services of audit & assurance and tax, as well as expanded services. Emerald TC is comprised of an experienced team of certified consultants, master developers and CPAs who specialize in delivering the accounting and business management solutions you need to grow. Software company specialized in Sage products. Greytrix is one of the largest Gold Development partner of Sage Software worldwide providing providing GUMU migration/integration solutions, development services and implementation expertise for Sage product lines. GWA helps its clients to streamline their repetitive processes into a smooth flowing, efficient course of action. I-Business Network is an Application Service Provider (ASP), supplying small and medium-sized companies with complete financial, eCommerce and business process systems. Information Integration Group provides ERP solutions to a wide range of industries from small to medium size companies ranging from five to over one hundred users. ISM is a technology consulting company specialized in Sage and ERP solutions. Keystone Business Solutions specializes in solutions-based accounting and business management systems, training, ongoing support and exceptional customer service. Klear Systems is an Application Consulting, Software Development and Business Consulting organization focused on helping your company increase its profitability and productivity by providing innovative, successful business solutions. K & R Consulting has a core group of consultants with the unsurpassed expertise, experience and insight needed to take our clients to the summit. Mantralogix is a technology consulting company specialized in ERP and CRM solutions. Hi there! Can I help you find the best Sage 100 Resellers solutions?